Schedule a quick demo for your team. Get Setup in minutes. Track Employee Mileage. Simplify your reimbursement process. Save your employees and finance departments hundreds of hours with automatic expense tracking. Reimburse according to GPS data. Rated the best mileage app for small business. 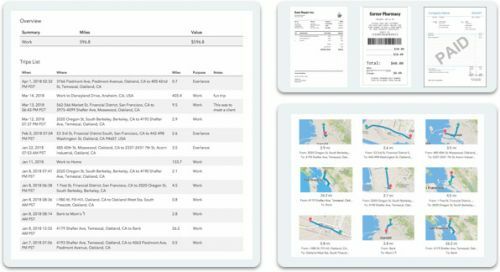 Everlance keeps accurate mileage logs for your company. Security and privacy are our highest priority for you and your employees. No more badgering employees for their expense reports. 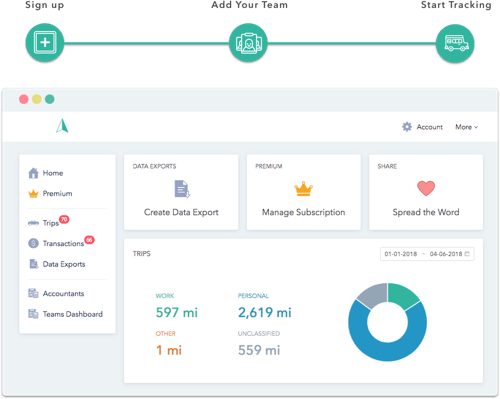 View individual or team expenses, receipts and company mileage on one administrative dashboard. We pride ourselves on how easy Everlance is to use and make it easy for your entire team to be on-boarded and ready to start recording their expenses. Everlance is a simple to intgrate company expense tracker app. Get you and your team on-boarded in 7 minutes. Built with the entire organization in mind. Save reimbursement time for every team member. As a CEO or manager you are always looking to improve your business's bottom line & companies growth. We want to make sure you can focus on just that! Software is one of the most efficient ways to improve your companies ROI. 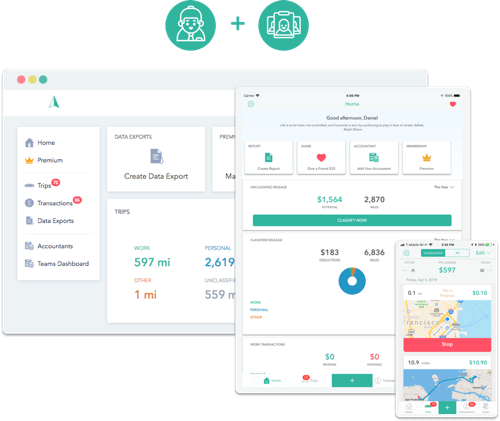 Everlance helps streamline the mileage and expense reimbursement process so your team can focus on the job the love doing not expense reports. We use Everlance for our staff, helping them insure accuracy in reporting and company reimbursements. Everlance is a true set it and forget it solution. Imagine not having to hound your employees for another mileage or expense report? Everlance gives you access to each employees mileage and receipts right at your finger tips, making payroll a breeze each pay period. Everlance will scale with your reimbursement needs as your company grows. Everlance enables our reps to focus on selling and not manually writing mileage and expense reports. We upgraded from Premium to the teams product and increased efficiency and report accuracy. We help HR departments save on reimbursement and employee audit time. 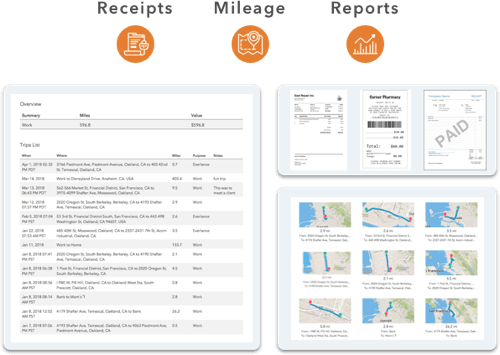 Get full visibility into all company recorded expenses, giving you the peace of mind knowing each employees mileage is accurate and every receipt is logged. Providing our staff with software that is useful has helped employee productivity and overall happiness at work. Our reports are more accurate than ever before. We understand as an IT lead, procuring new software for your company can be long and arduous. This is why we have developed Everlance to be the simplest mileage tracking and expense logging software to implement for your administrators and field staff. Everlance can work hand in hand with your current payroll system making it a no brainer to implement. We were able to implement and roll out Everlance in the same day. Feels like a big win for us! We know keeping track of all your mileage and expenses out in the field can be cumbersome. That is why we created Everlance to be simplest to use & most accurate mileage & expense tracker on the market. Employees should be doing the job they love not filing expense and mileage reports! I love how simple Everlance is to use. Was able to start tracking my company mileage immediately and receipt management is a breeze! Building a mileage reimbursement program doesn't need to be complicated. We help businesses from all industries customize & implement mileage reimbursement programs. Healthcare: Reimburse your mobile workforce. Food & Beverage: Track delivery & sales staff. Insurance: Help field reps keep IRS compliant. Outside Sales: Accurate employee mileage reports. The days of excel spreadsheets and physical receipts are over. Everlance helps teams keep track of business expenses and income. We focus on design so that entire companies can get up and running in 7 minutes or less. 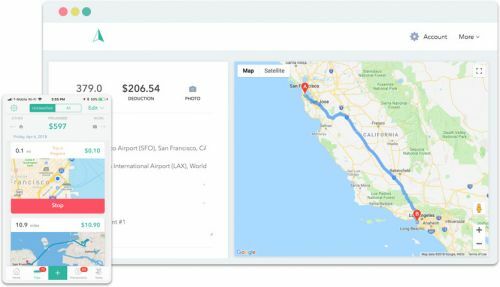 Our simple to use dashboard and top rated mileage tracker app help eliminate the need for long training sessions and employee confusion. Start using the #1 rated company mileage tracker & expense log. 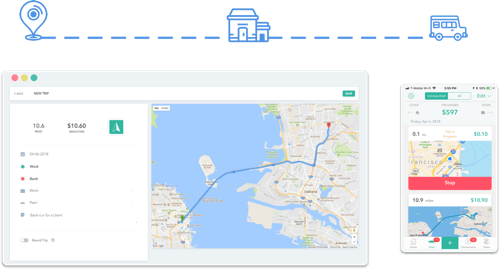 Case Study: Learn more on how companies use Everlance to track business expenses & company mileage.